Here we are, only hours away from the first weekend of the summer holidays, Memorial Day. We can celebrate! We are officially past the elongated winter of 2014. Put away the snow shovel and fire up the grill. It is time to open the windows and smell fresh cut grass. Memorial Day is here and it feels good. 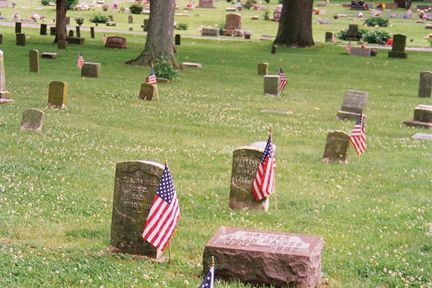 Of course Memorial Day has more to do with our past as a nation than kicking off the summer. It is a very specific holiday. It is to help us remember that fellow citizens died defending our freedom. Memorial Day has been commemorated on the last Monday of May since 1971 when Congress moved the traditional day, May 30, to a Monday to make a three day weekend out of the holiday. The first Memorial Day was observed on May 30, 1868, to remember those who had died during the Civil War. In the wake of WWI, Congress expanded Memorial Day to remember all of our war dead. Memorial Day left an indelible mark on my life. That might possibly have come about because my dad is a veteran of WWII. It could be because my grandfather fought in WWI. I remember as a child going to the Memorial Day parade that my hometown held each year. I recounted much of this in my first published book, entitled Memorial Day (if you would like a copy, contact me and we will work it out.) The thing I remember about the day is the solemnness and reverence my entire town paid to the veterans who marched in the parade behind the color guard. Old men would rise to their feet and stand at attention, saluting the flag as it passed. Ordinary folks would wave as the veterans marched past. The parade ended in the local cemetery, where graves decorated with small American flags told a silent story. They marked the final resting place of the veterans of my town – those who had left for distant shores. Some of them had returned home and lived out the rest of their lives. Some of them did not come home. Two of my parents’ classmates had tombstones in that cemetery, but their bodies remained in another land. It is hard to think about it without experiencing gratitude for what they did. And what did they do? They made it possible for me to do what I do – from writing this article, to coming to work this morning, to being able to walk out of my office and go home to my family, on and on. Most days I take all of that for granted. Memorial Day is a holiday set aside to make sure we don’t take it for granted – at least not on that day. So it is that next Monday morning, at cemeteries across the nation, small groups of people will gather together to remember those who sacrificed their lives for our freedom. They will listen to a speaker tell of these sacrifices. They will bow for a moment of silence. Taps will be played. They will remember. I would encourage you to join them. With all the other activities that surround a three day weekend, spending a solemn moment walking amongst the flag marked graves will put things into perspective. And when you see a vet, whether they be old or young, make it a point to honor them in your own way. Memorial Day is a day for remembering and honoring. Make the most of it.